Today is also good news for all who have enrolled in our Online Taxation Course that we have started to take their taxation test. With this test, they will find their mistakes because we will explain detailed answers why they have given wrong answers. It will help them to encourage further study of Taxation because less marks will encourage them to increase more marks in next month test of Taxation Online. 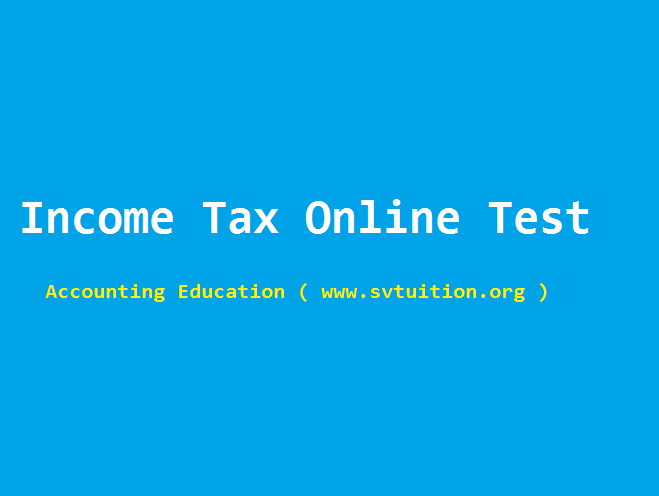 If any student will get higher marks in this test, he or she will encourage to go next level of Our Online Taxation Course. 1. This is self assessment test. So, do not see any reference book, ebook and online or off line video tutorial. It will be like cheating. Don't cheat yourself. It will be big barrier in your growth. 3. 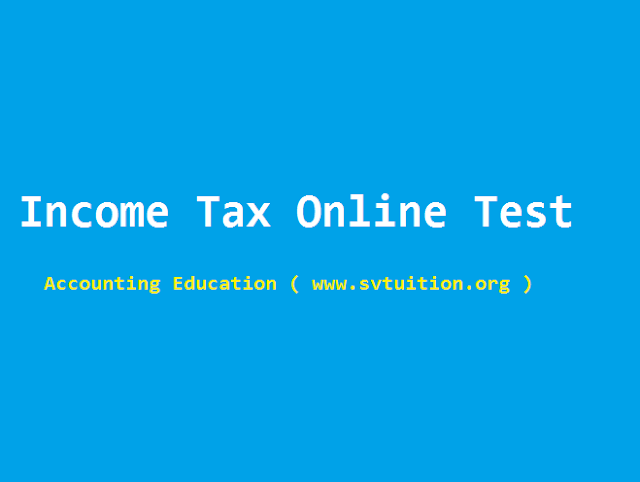 Only those students can give test who enrolled in our Taxation Online Full Course. 4. This is first part test. In future, there will be more tests on Taxation. If you will clear our 20 tests, we will give you certificate of this as reward. Next test will be on the basis of performance of your past tests. Question 1. How can a Company register in e-filling of Income Tax Department of India? a) By showing company's PAN, name of organisation and date of incorporation. c) Telling your PAN, security question, registered email and registered mobile no. Question 3. If you did not registered your Mobile in Income Tax efiling Website, How can Register it? Question 4. In which Website, we can check the Status of TDS?